I’d like to start off my first entry and participation with mobileWOMEN.org by introducing myself. 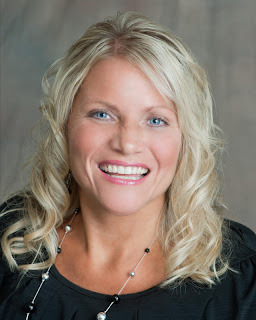 My name is Jennifer Addis, but due to the personal connection we will share from this point on, I invite you to call me Jen. I am a single, 37-year-old woman, living life with big dreams and aspirations. Out of all the jobs I have, I enjoy my career as an Auntie to my six nieces and nephews more than anything in this world. On March 16, 1997, I was a passenger in a tragic drunk driving accident. The careless and irresponsible designated driver happened to be my boyfriend and fiance at the time. At the age of 24, my once “normal” life became a life of loss and dependency. I was stripped away of my livelihood, career, dignity, pride and most importantly, my independence! I struggled day in and day out with the loss of everyday capabilities we all take for granted, such as walking, writing my own name, doing my hair and make-up, brushing my teeth, having the function to go to the bathroom on my own and wondering if I could ever be that same auntie as I had been for years. I was living my life wondering…Why? Why did I survive that horrific night? What was my purpose in this world? It would have been so easy to quit. Struggle after struggle; obstacle after obstacle, but I chose to fight the fight instead! I am proud to say that, today, I am living life as a thriving C5-C6 quadriplegic. I know this sounds almost impossible, but my life has changed in a positive direction and in so many amazing ways, which I’m excited to share with all of you! 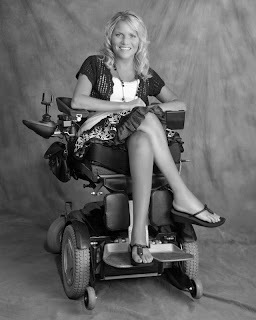 For instance, a very significant time in my life was when I reigned as Miss Wheelchair Wisconsin 2000-01 and represented the state of Wisconsin in the National Miss Wheelchair America Pageant in Fort Lauderdale, Florida. My platform was very simple: “The consequences of drinking and driving.” This time for me was the beginning of my newly purpose driven life and ultimately resulted in my newly found confidence, courage and strength, eventually leading me into my speaking career. Today, as a motivational, inspirational and educational speaker and ROLL model, I have spoken to a countless number of schools, colleges, universities, churches, conventions and conferences about topics ranging anything from drinking and driving, living life with a traumatic injury, unhealthy relationships, overcoming adversity and my car accident in general. My mission is to bring awareness and educate others to hopefully change the views of a diverse society filled with stereotypes and misperceptions of women in wheelchairs and disabilities. My goal is to use my experience and knowledge to empower and inspire each of you to discover your own inner strengths. As we set forth on this new adventure, i hope to share my own personal story, struggles, obstacles, triumphs, achievements and successes with each of you. Overcoming adversity and making change happen is my mindset today! “Hey Jen!” will be a safe, interactive column that I want to share with each of you, whether physically challenged or not, to simply discuss anything and everything that may be on your mind. Let’s talk about fun issues, such as fashion or dating, or we can get serious about real life experiences. You may just need a boost of inspiration and someone to listen who truly understands, and I’m here for both. Remember, nothing is too personal in my book, so let me know what may interest you or may be troubling you at this moment! If you feel it, live it, hurt from it, are interested in it or are just curious about it…share it and discuss it with me, because I’ve either felt it, have lived it, was hurt by it, am interested in it or had the curiosity about it myself! Email me your questions at mobileheyjen@gmail.com. I will post your questions here along with my responses. You can be anonymous, if you prefer, or I will simply use your first name. My aspirations include writing and publishing my biography. I plan to continue growing in the motivational, inspirational and educational aspects of my life by speaking through inspiration and experience. Ultimately, I would love to have a family too! My hobbies are shopping and fashion, traveling, anything in the sun, sunbathing, boating, adaptive waterskiing, spending time with my two toy poodles, Angel and Sprockett, but most importantly, living life to the fullest! I’d like to personally thank Cheryl Price and Wendy Crawford for bringing me into the mobileWOMEN.org family and allowing me this opportunity to share my personal story and experiences with each of their readers. You can find Jen on Facebook at “This Is How I Roll” or www.facebook.com/jaddis1. Email Jen your questions at mobileheyjen@gmail.com. Wonderful speaker and writer, have enjoyed all of your work. Jen is one of the most amazing people I have ever met. I am very blessed to have her in my life. She inspires me everyday!! The new age "Dear Abby!" What a perfect fit for an amazing lady with so much to share. It's been over twenty years since I last saw you. What an amazing woman you have become! Welcome Jen, you are awesome and I needed to read your article. Today an RN came to do an assessment because I need more care in my home. Someone to help me dress, cook, watch my health etc. In the midst of my evaluation she said "you have 14 illnesses you should go to a nursing home this is too much." I firmly said I am not going to a nursing home and I am in a special program to keep me in my home and that is the reason my doctor contacted her. I find of late that I have to be proactive and state what I need. I am looking forward to working with this nurse for it may help her understand the importance of independence. She has never worked in this program before. I am excited about life and I love your first article! You go girl! Jen, you are very inspiring! Good job! I will buy your book. Hugs and kisses! That article was amazing! i was wondering how do you manage stress? I feel like sometimes my world is going to explode and i am not always sure how to cope.